↑ Christopher Wagstaff (2007). 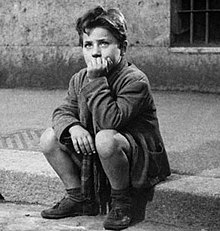 Italian Neorealist Cinema. University of Toronto Press. Retrieved June 9, 2012. ↑ Metalluk (February 4, 2006). "Desperate Times Make Desperate People". Epinions. Retrieved May 5, 2009.